Tucked between the Sierra de la Giganta mountain range and bountiful Sea of Cortez off the Baja Peninsula’s eastern coast, Villa del Palmar at the Islands of Loreto has recently earned dual World Travel Awards nods as a Mexico Leading Beach Resort, and Mexico and Central America Leading Resort. While the former is a repeat for the 181-room property, the latter is a debut in a new category. According to Owen Perry, co-owner and president of The Villa Group, the company considers this an incredible honor to be recognized in consecutive years by such a renowned awards organization. “We strive to offer unique and unmatched experiences where guests can soak in the magnificence of the Islands of Loreto while enjoying luxurious relaxation, endless adventure and unparalleled hospitality,” said Perry. The Villa Group owns and manages four brands of villa-style resorts in Puerto Vallarta, Cabo San Lucas, Riviera Nayarit, Cancun and Loreto. Now in its 23rd year, the World Travel Awards recognizes, rewards and lauds excellence across the spectrum of the global tourism and travel industry. Tapped by the public and qualified tourism industry executives, awards are presented in the categories of country, regional and world tiers. 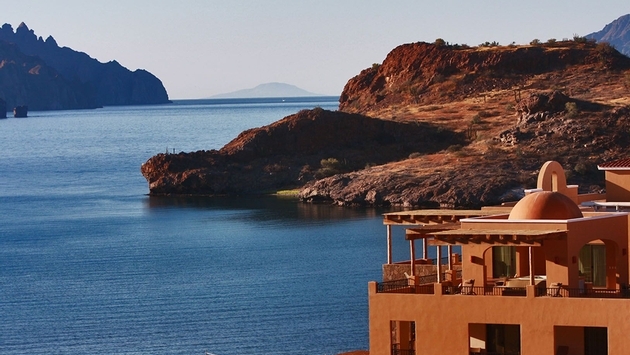 Villa del Palmar at the Islands of Loreto received recognition in both the country and regional levels. With its warm year-round climate, the Loreto destination resort offers accommodations ranging from ocean to mountain view one- to three-bedroom suites with terraces or balconies. The Villa Group prides itself on clever touches like room access from a tiny device embedded in each guest’s wristband. Complimentary wireless Internet access is available throughout the property’s common areas. While it doesn’t cater to the reveler mindset, the resort delivers a vibe that’s far from mundane. 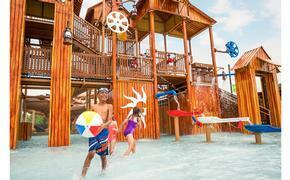 Days spice up with Spanish lessons, bartending classes, aqua-robics and beach volleyball. When it’s time to chill, guests are indulged with five turtle-themed pools, shaded loungers on the beach, and the 39,000 square foot Sabilla Spa & Wellness Center. Recreation enthusiasts are further appeased with sea and land excursions taking them up close and personal to local marine life via Hooka diving, scuba diving, kayaking, night LED paddle boarding, mountain biking and island tours. Adventure lovers can also opt for tours of the nearby Danzante, Coronado and Del Carmen Islands via the resort’s inflatable APEX boat, as well as fishing aboard the “Mad Dash” tournament boat. The Sabilla Spa has gained its own World Spa Awards recognition as Mexico’s Best Hotel Spa. A sister to the World Travel Awards, the program spotlights spa industry excellence via a voting process similar to that of the World Travel Awards. Advise your clients who have stayed at Villa del Palmar at the Islands of Loreto to voice their positive support for the resort on the World Spa Awards website (WorldSpaAwards.com/award/mexico-best-resort-spa/2016) by July 25. For additional information or reservations, contact Villa del Palmar at the Islands of Loreto at (800) 790-4187, email reservaciones.vdpl@vgloreto.com or visit villadelpalmarloreto.com.